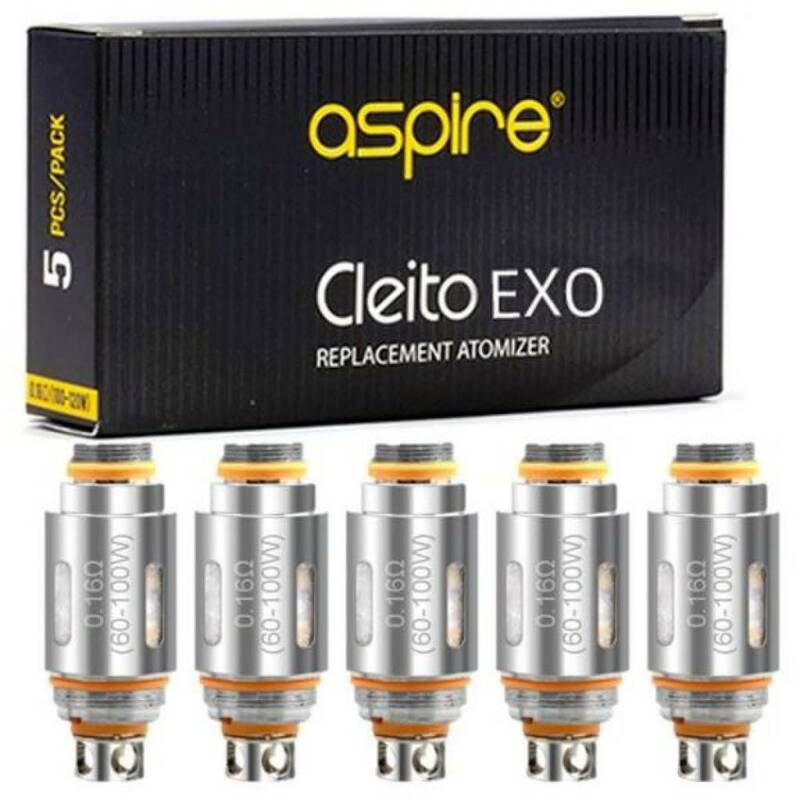 The Aspire Cleito EXO Coils have a 0.16 ohm resistance for sub-ohm vaping. The material is Clapton kanthal coil which can be used in variable power modes. It is capable of being used in Temperature Control mode if your vape kit supports it. In VW mode the recommended wattage range is 60W – 100W. 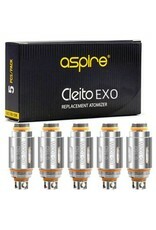 For the best vapour production only use if your vape kit can deliver 60W power output. The coil design enhances airflow as there is no separate chimney within the tank itself which enhances the flavor and vapor production.